Here at DistortedNews, we are happy to announce that we have a new member, Keith Standring!! After eight years Creed have returned with their fourth studio album Full Circle. The album opens with Overcome, a fantastic opening which seems to be the complete opposite of their earlier work, with a set of more fast paced songs giving the album an enjoyable and unconventional (for Creed) opening which is maintained throughout the album. Yet despite a great opening there is a section in the middle of the album that is just awful and brings down the album as a whole. 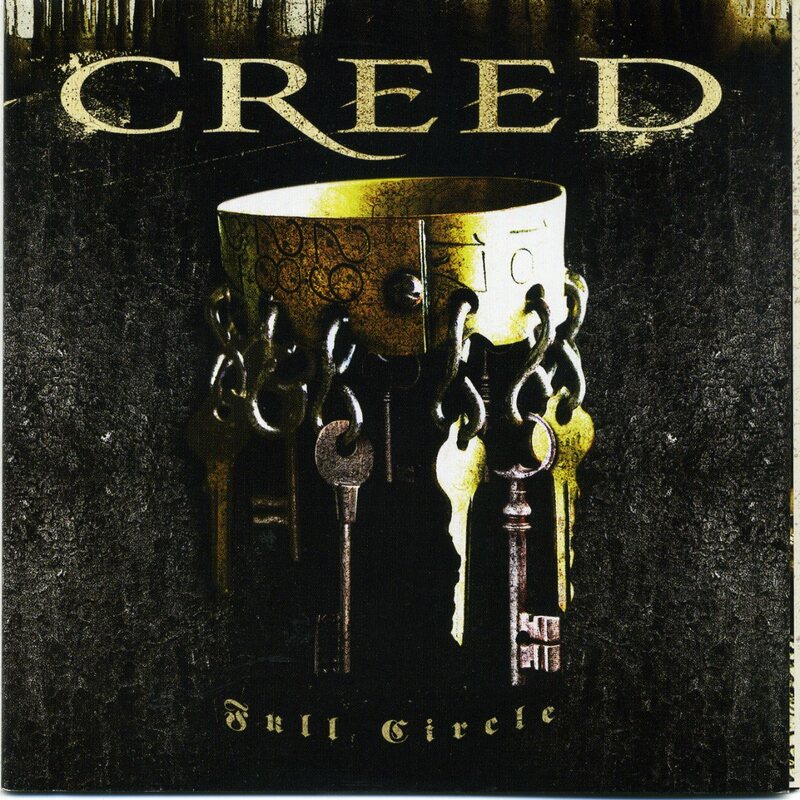 Songs like Rain, Away In Silence and Good Fight are songs that just remind anyone who dislikes Creed, why they dislike Creed, as they are incredibly slow, boring and they don’t fit in with the album. Overall the album is great for People who like Creed as it is something new but still maintains their old style, and for people who haven’t heard Creed this is a good buy as it is an album with a solid track listing with one or two songs that go against this. Satyr, of legendary Black Metal band Satyricon sent a message of support to Dio, who recently was diagnosed with stomach cancer. This shows that Dio has inspired people from all over the world and in many different cultures. Long Live Ronnie James Dio. DistortedNews would like to wish Ronnie a speedy recovery.